An aurora-like light show caught by amateur photographers isn't an aurora at all, according to scientists examining the purple and white ribbons of light. Dubbed STEVE - an Over the Hedge reference - the phenomenon has been caught on film for decades but until now scientists hadn't taken a closer look. The new study showed the lights were produced by a different atmospheric process to aurora, but they've yet to figure out what causes the so-called skyglow. 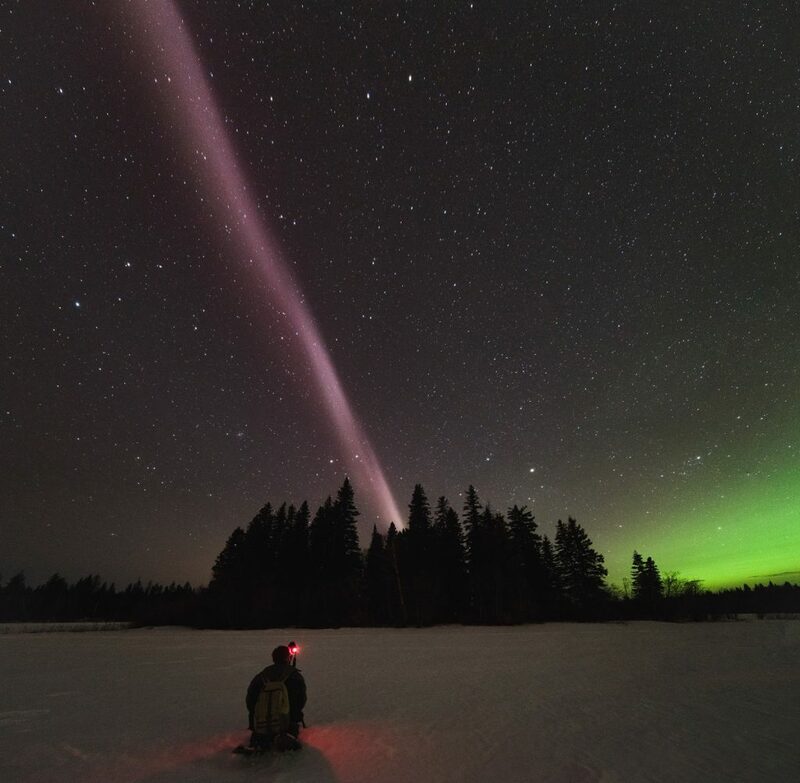 Alberta Aurora Chasers capture STEVE, the new-to-science upper atmospheric phenomenon, on the evening of April 10, 2018 in Prince George, British Columbia, Canada. Fellow Aurora Chaser Robert Downie kneels in the foreground while photographer Ryan Sault captures the narrow ribbon of white-purple hues overhead. The vibrant green aurora is seen in the distant north, located to the right in the photo. In this issue, Gallardo-Lacourt et al. use a ground based all-sky imager and in situ satellite data to study the origin of STEVE. Their results demonstrate that STEVE is different than aurora since the observation is characterized by the absence of particle precipitation.